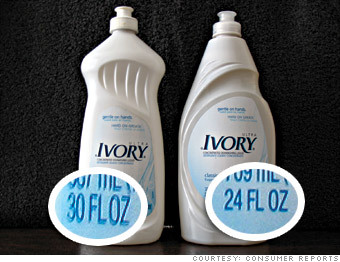 From hand soap to hot dogs, these staples have gotten smaller over the past few years, according to Consumer Reports. The magazine found "packages reduced in size by as much as 20%." It may still be 100% pure, but there's also 20% less soap in these new bottles.